Monroe police arrested Nicholas Ludwig on drug and larceny charges on Dec. 23. MONROE - Police said they busted two would-be shoplifters as they tried to make their getaway earlier this week. 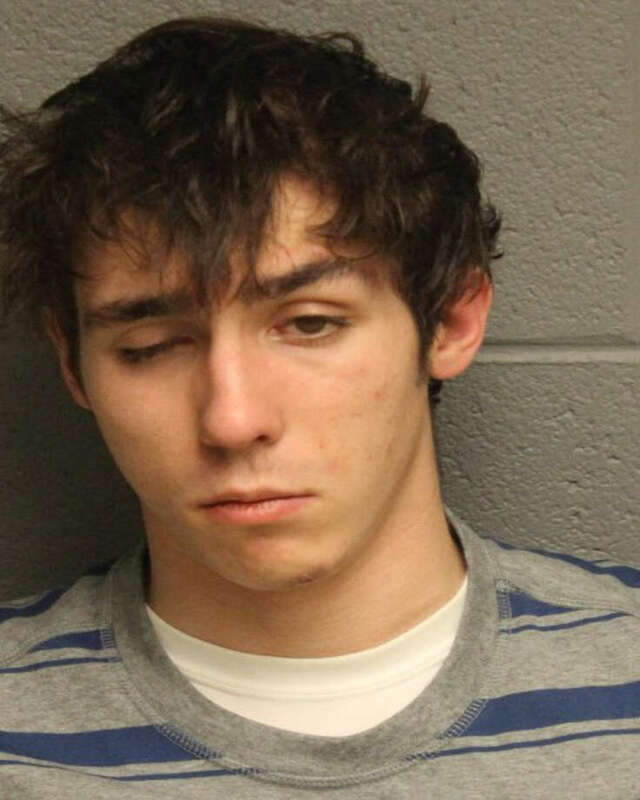 The wheelman was so hammered, according to police, that he seemed to nod off mid-sentence. Police said they spotted the two men — 20-year-old Nicholas Ludwig of Block Farm Road and 19-year-old Patrick Leite-Jesus of Shelton Avenue in Shelton - before the alleged theft even took place Wednesday. An officer parked across the street from a gas station on Route 34 saw them scrambling to find something under the seats of a Honda, then heading into the gas station before leaving “at a high rate of speed,” Monroe Police Capt. Michael Flick wrote in a news release. As that officer followed the Honda onto Route 111, the gas station attendant called 911 to report shoplifting, police said. The night clerk described the two men and their car. The officer in pursuit pulled the car over after observing “erratic operation” and when police approached Ludwig, who was driving, they “observed that his pupils were extremely pinpoint, his speech was slurred and he seemed to fall asleep while speaking,” Flick wrote. After both human and canine officers caught the odor of drugs, a search turned up dozens of prescription sedative pills, five pills of prescription amphetamines, 12 prescription pain pills and 1.4 grams of marijuana, as well as $791 in cash, police said. “Also found in the Honda, and later determined to be stolen from Henny Penny, were three cigarette lighters, three cell phone cases, a can of Red Bull energy drink and several large dog biscuits,” Flick wrote. Police charged both men with sixth-degree larceny, marijuana possession, two counts of controlled substance possession, possession with intent to sell and possession of drug paraphernalia. Ludwig is also facing one count of driving under the influence and failure to maintain his lane, police said. Leite-Jesus was unable to post his $5,000 bond and was transported to court on Wednesday, police said. Ludwig’s bond was set at $5,500 and he will appear in court on Dec. 31.